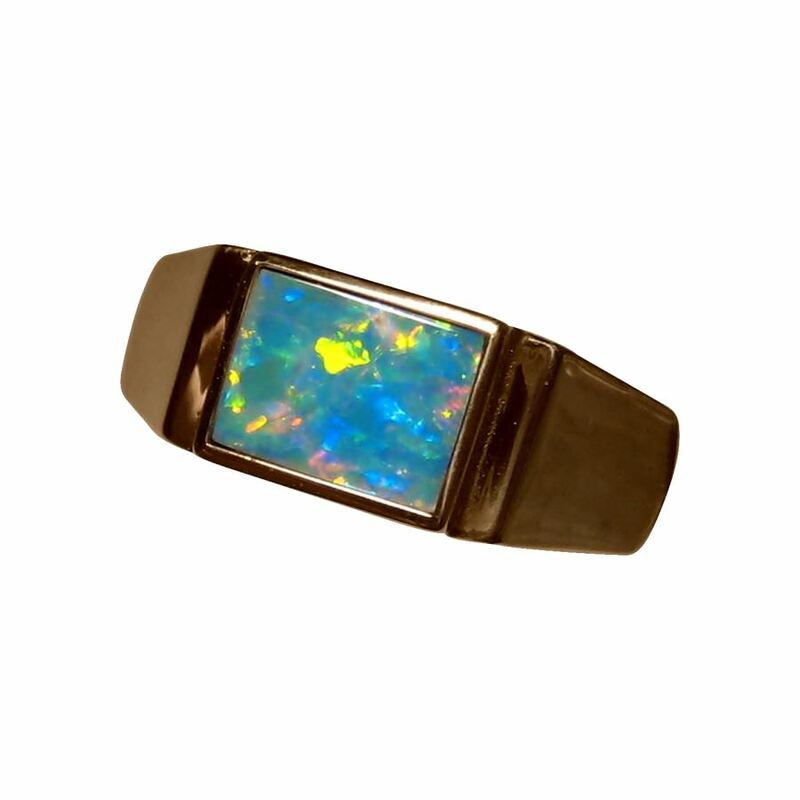 A mens Opal ring in 14k Gold with one bright and colorful rectangle cut Opal. In stock. 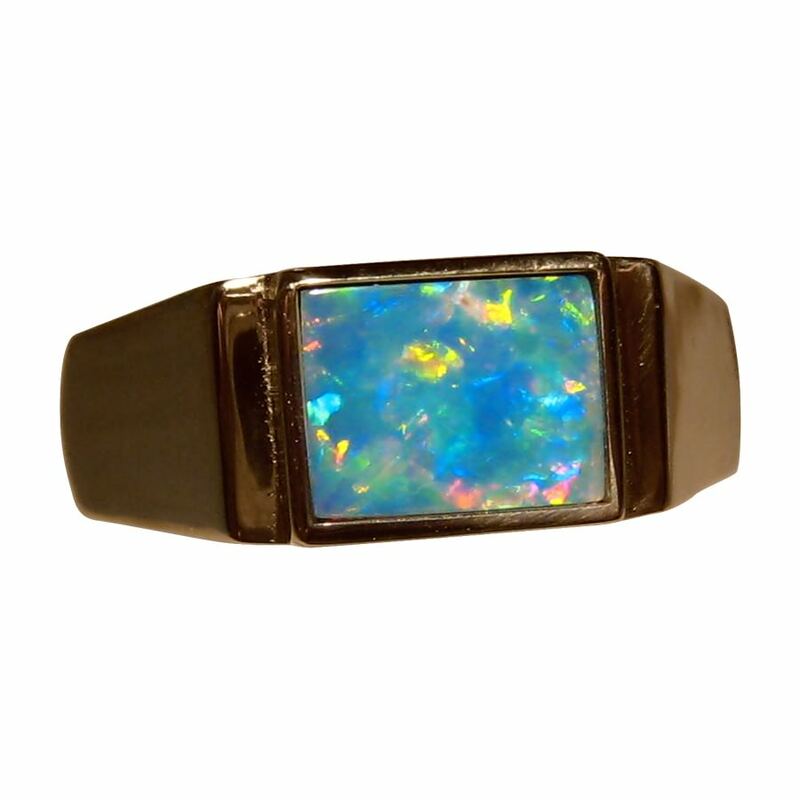 This is a popular style of ring for men with a plain wide band of Gold featuring a rectangle cut Opal. The ring is just under 8 mm wide, weighs 5 grams of 14k Gold and has a smooth high polish finish which you will see in the video rather than the images. 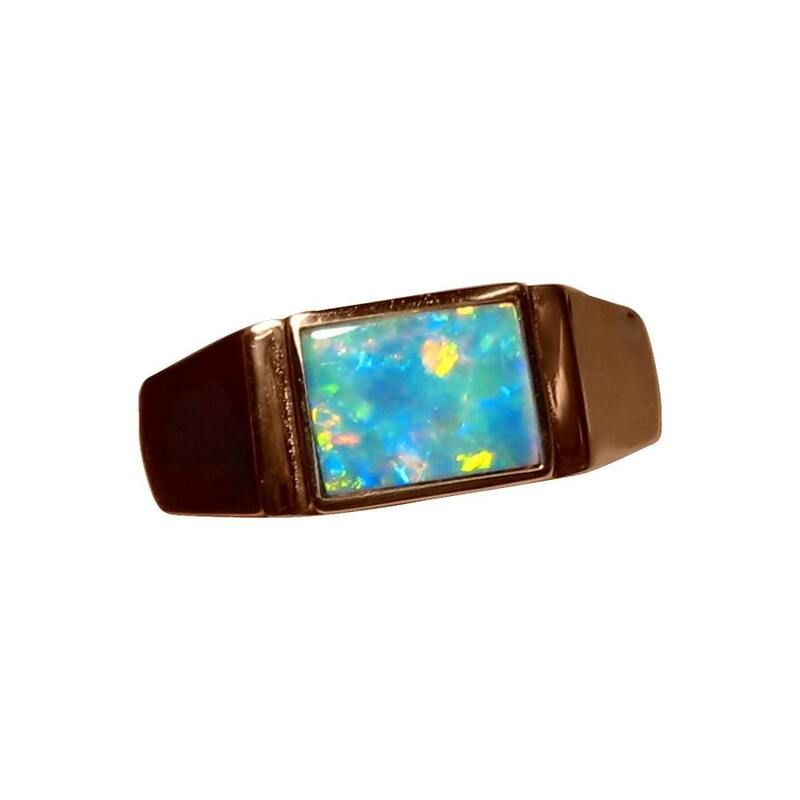 The ring is inlaid with a rectangle cut Coober Pedy Opal that weighs about 1.5 carats and is expertly cut and set for minimal gaps however it is not secured giving you the option to have the ring made in your choice of Gold color and ring size. The Opal has a lively play of color and flashes a mix of colors including Orange which is not often seen in Opals. There is a very small dot of sand on the surface which is not visible to the naked eye and does not detract from the features of the stone. This ring is ready to ship as detailed below or will take about one week to make the ring with any changes.